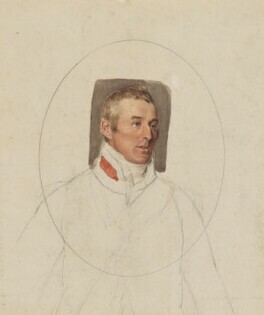 As victor at Waterloo and later Prime Minister, Wellington was almost always in the public eye. This selection of rarely exhibited works on paper includes watercolours by Thomas Heaphy of the Duke and his generals on the campaign trail and preparatory sketches for sculpture by Sir Francis Chantrey. Later political caricatures and oil sketches by William Salter for his 'Waterloo Banquet' are also included.